Is a victim of bigamous marriage entitled to maintenance? The Supreme Court has answered the question in the affirmative by holding that if a man deceitfully marries a woman hiding the subsistence of earlier marriage, he is obliged to pay maintenance to her under Section 125 of Code of Criminal Procedure (Cr. PC). In the matter of Badshah Vs. Sou. Urmila Badshah Godse & another [Criminal Miscellaneous Petition No.19530/2013 in Special Leave Petition (CRL.) No.8596/2013], Justices Ranjana Desai and A.K. Sikri were dealing with a case where the marriage between the parties has been proved. However, the husband was already married, and he duped the victim by suppressing the factum of alleged first marriage. On these facts, the Bench opined that he cannot be permitted to deny the benefit of maintenance to the respondent, taking advantage of his own wrong. "1. Whether the living together of a man and woman as husband and wife for a considerable period of time would raise the presumption of a valid marriage between them and whether such a presumption would entitle the woman to maintenance under Section 125,Cr.PC? 2. Whether strict proof of marriage is essential for a claim of maintenance under Section 125,Cr. PC having regard to the provisions of the Domestic Violence Act, 2005? 3. Whether a marriage performed according to the customary rites and ceremonies, without strictly fulfilling the requisites of Section 7(1) of the Hindu Marriage Act, 1955, or any other personal law would entitle the woman to maintenance under Section 125,Cr. PC?" On the basis of the judgment in Chanmuniya, it was pleaded that this matter be also tagged along with the aforesaid case. Rejecting the argument, the Supreme Court held that “Firstly, in Chanmuniya case, the parties had been living together for a long time and on that basis question arose as to whether there would be a presumption of marriage between the two because of the said reason, thus, giving rise to claim of maintenance under section 125,Cr.PC by interpreting the term "wife" widely. The Court has impressed that if man and woman have been living together for a long time even without a valid marriage, as in that case, term of valid marriage entitling such a woman to maintenance should be drawn and a woman in such a case should be entitled to maintain application under Section 125 of Cr.PC. On the other hand, in the present case, respondent No.1 has been able to prove, by cogent and strong evidence, that the petitioner and respondent No.1 had been married each other”. 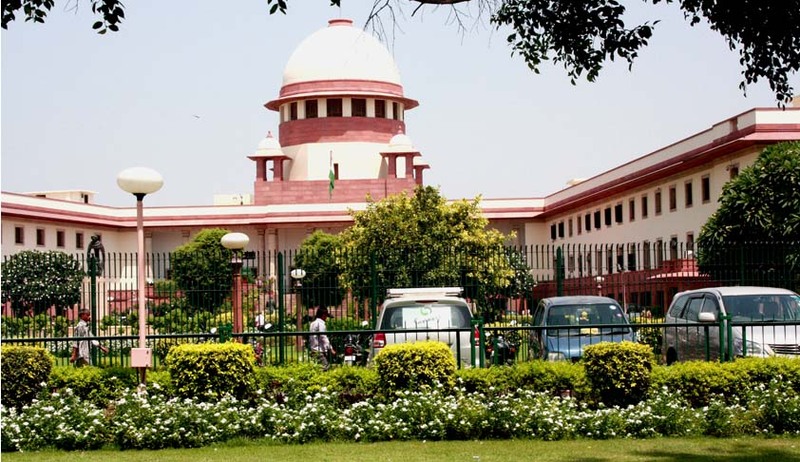 The Court took the view that of the view that the judgments in Yamunabai Anantrao Adhav vs. Anantrao ShivramAdhay and Savitaben Somabai Bhatiya vs. State of Gujarat & Ors cases would apply only in those circumstances where a woman married a man with full knowledge of the first subsisting marriage. In such cases, she should know that second marriage with such a person is impermissible and there is an embargo under the Hindu Marriage Act and therefore she has to suffer the consequences thereof. The said judgment would not apply to those cases where a man marries a second time by keeping that lady in dark about the first surviving marriage. Justice Sikri also emphasized that while dealing with the application of destitute wife or hapless children or parents under this provision, the Court is dealing with the marginalized sections of the society. The purpose is to achieve "social justice" which is the Constitutional vision, enshrined in the Preamble of the Constitution of India. Preamble to the Constitution of India clearly signals that we have chosen the democratic path under rule of law to achieve the goal of securing for all its citizens, justice, liberty, equality and fraternity. It specifically highlights achieving their social justice. Therefore, it becomes the bounden duty of the Courts to advance the cause of the social justice. There is a non-rebuttable presumption that the Legislature while making a provision like Section 125 Cr.PC, to fulfil its Constitutional duty in good faith, had always intended to give relief to the woman becoming "wife" under such circumstances. This approach is particularly needed while deciding the issues relating to gender justice. He cited the Journey from Shah Bano to Shabana Bano guaranteeing maintenance rights to Muslim women as a classical example.